Nintendo might have delayed the release of Mario Kart Tour until summer 2019, but to make up for it, it has now revealed a classic series dating back to the NES era is targeting a global release on iOS and Android devices around the same time. Nintendo's previous mobile releases include Fire Emblem Heroes, Super Mario Run, Animal Crossing: Pocket Camp and more recently Dragalia Lost. You would think a puzzle game such as Dr. Mario would go hand-in-hand with mobile devices, as there's already an abundance of these types of games on smartphones that are highly popular. The first Dr. Mario game released on the NES in 1990 and was produced by Gunpei Yokoi, designed by Takahiro Harada and composed by Hirokazu Tanaka. Since then, there have been multiple other entries in the series over the years. Most recently we saw Dr. Mario: Miracle Cure in 2015 on the 3DS eShop and before this was the WiiWare entry in 2008. Is this a mobile game you think you would play? Do you enjoy playing puzzle titles on this device? Tell us below. This is pretty much a no-brainer mobile release. I expect it will do very well as it's the perfect time killer game. My mom absolutely loves the brain age version of Dr Mario, so I hope it's included in World. Dr Luigi, nurse peach.... I wonder who else will join the cast? Can't wait to challenge firends in curing the plegue, mad cow disease, and other viruses! Hey, something I’d actually play on a phone. Nice. Cool I guess? Is a good fit for a mobile game at least. ... Yeah, I dunno, I never really liked Dr. Mario. Call me when they do Panel de Pon. This is one of the smartest IPs to put on mobile. People who never play games, but have nostalgia for Dr. Mario, will play this. I told my mom about this (she loved Dr Mario growing up and her and I play it together sometimes via NES Classic/Switch Online), and she said she may get it. Additionally, the game seems like a perfect fit. Tetris works just fine on mobile, so I imagine this will work similarly. The only IP more suited for mobile I can think of is WarioWare. This was a brilliant move nonetheless. I have a FEVERish love of Dr. Mario, so this news is really CHILL. 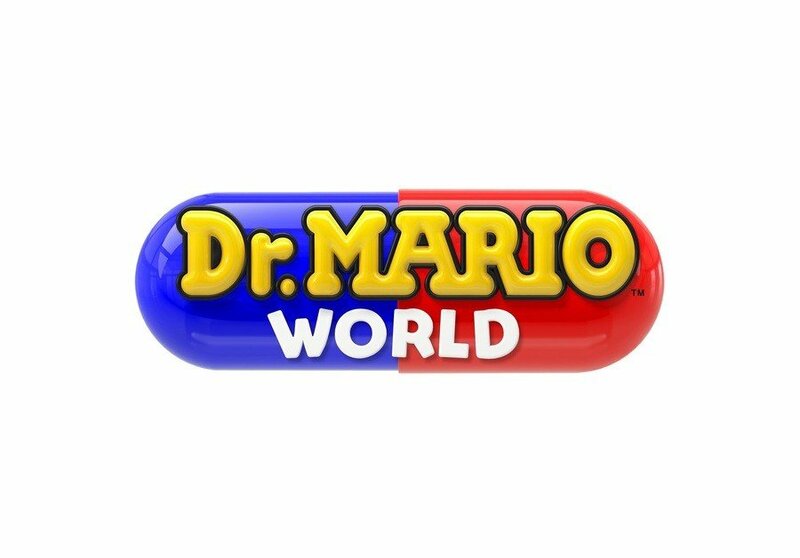 I think the last game to come out before miracle cure was dr luigi not online rx. More like a IP version of those addictive mobile games that you can play forever without waste money if you dont want to and Less like Mario Run, please. I smell microtransactions a mile off! Very neat and looking forward to it. Hopefully we get a Switch version of Doctor Mario as well. i don't mind microtransactions as long as gameplay is good. Dr Mario was Nintendo's take on tetris we'll see how it will play out on mobile. Perfect, I need another three minute time-waster puzzle game. Pokemon Shuffle is getting stale to borderline frustrating at times. I'm a huge fan of Dr Mario, I put in hundreds of hours playing it online on Wii and then again with Dr Luigi on Wii U. I would do the same on Switch if it had one but alas, I think the NES version is it for this gen,which is no substitute since you can't play it online with randoms. This news explains why it's not on Switch. It's not ideal as I'd rather play it on TV but it's better than nothing. @MH4 I've always thought WarioWare would make for a good mobile game, but I also think Mario vs. Donkey Kong and a touch-based Kirby game (i.e. Mass Attack, Canvas Curse) could work just as well. I still have Dr. Luigi on my Wii U but i rarely to play due to digital download only. @CharlieSmile be coughreful, if you get a chill you might sneeze and spread the fever. @Delibheel I remember the other two from the Dr. Mario/Puzzle League version, but didn't name check them cuz they're not as ubiquitous. I love it. Hope it has online play so I can play with my mom. We used to play the WiiWare version all the time. I play Dr. Luigi U and og Dr. Mario quite a bit. I love Dr. Mario. It's my favorite puzzle game and I still keep my 3DS handy to play it regularly. I've been hoping for a new version on the Switch, but this is even better news to me. I'm going to end up playing this so much it's not even funny. Awesome news for me! @CharlieSmile I amoxyCillian what you did there. Nice! Curious to see how it controls. Puzzle games are a good fit for mobile. Oh gosh. My mother is about to lose all productivity as a human being now. At first this seemed out of left field. But when I remember the gameplay, and how popular this genre seems to be on mobile, it makes perfect sense. Still not for me, because I have a feeling the monetization is going to be typical of mobile. But I see why they're doing it. That name though, makes me think it's Dr. Mario in Super Mario World (of which someone did a ROM hack of that many years ago). No thanks. Sounds painful to the wrist and fingers. Besides, I have it on the NES Classic. I'd rather play there. As everyone else has said, this sounds perfect for mobile. I can't wait to play it. Wonderful! I'm definitely going to keep an eye on this! I love Dr. Mario! Mostly played the Game Boy version. Great that the series is still alive, but would rather have a Switch version (I know we have the NES game already). I got multiple versions of this game at this point that it's pointless to buy any more. Basically it's the "if you bought one you pretty much bought all of them" kind of game (except Dr. Mario 64, that one is the only exception since it had more meat to it from the other ones). I'll take Feb 2020 in the pool. I don't understand how a company can announce that a mobile game that was due out now has been delayed until summer but then at the same time give a release date for another mobile game in summer. Why believe they can get a date right when they just proved they can't? Finally caught every critter this month. I'm finally free! (No desire to play the UX stages). Have you ever played 'Virus Buster' in Brain Age 2/Concentration Training? I'd assume it would work like that. @leo13 Maybe it'd have touchscreen buttons. And this isn't Mega Man or something, so touch buttons would be passable. Mario Kart has got to use the tilt feature to turn or something. Or maybe always accelerates unless you tap/hold the brake, I dunno. @KingBowser86 MK8 already has tilt, auto accelerate and assist options so he mobile kart will have those dialed up to eleven I imagine, I wouldn’t be surprised if they automate it even further by using that 3D runner thing of using rails that you swipe between. @leo13 i could see it playing like Puzzles and Dragons. @SalvorHardin For sure - I bet they added those features to test it out for MKTour, and then MKTour feedback is going to play into MK9's development. @leo13 Dr. Luigi on the Wii U had a touch screen mode that worked fine. @leo13 I mean, I'd still prefer responsive buttons, but touchscreen will do for casual single player. Again, it's not like Mario, Sonic, or Mega Man where that's mandatory. Granted, it's also not a turn-based RPG or Match3 puzzler where it'd be far easier to use said touchscreen. Treating viruses through a phone? Looks like WebMD has a competitor. I'm just most open to playing puzzle games on my phone; that's all it is for me. Will we ever see Doctor Mario as a surgeon? He would probably use one of those spinning saw obstacles since he's the type of "doctor" that uses vitamins to treat viruses. Would it not be better to put the games part of Nintendo Online on mobile devices. Great choice for a mobile game. Who is disliking everyone’s post though? Ooh that's amazing! I'm a little addicted to this game; since I got the NES games from Nintendo's online service, dr. Mario is the game that I've been playing the most. @MH4 WarioWare on mobile would be great. I think that Rhythm Heaven on mobile would also turn out to be good. @Elvie Someday there will be a Dentist Mario and you will be fighting cavities instead of viruses. Can’t see me playing this as I like Dr Mario but the controls will be awful on a touchscreen (I didn’t get on with them on the Wii U version). Global release... does this include Europe, Nintendo? This had better be a one-off purchase game. Charging microtransactions is obscene enough as it is without imposing it upon such simplistic puzzlers such as these. Nice choice! Perfect fit for mobile! Next mobile games should be Kirby: Canvas Course, Brain Training, Nintendogs, Wario Ware, and Mario vs Donkey Kong. Bring it on, Nintendo! You know it will probably be really good this. @Ttimer5 Waluigi in a nurse’s outfit? Do Pokémon Go, Pokémon Shuffle Mobile, Pokémon Quest, and Pokémon Magikarp Jump not count towards Nintendo's mobile releases? This seems like a perfect pick for mobile, provided it has offline play. This is the kind of thing I like to play on the bus, out and about, not so much when I'm at home on wifi, nor something I'd be looking at data for. 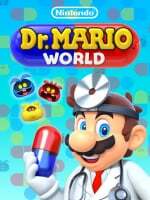 Dr Mario is one of the few franchises that will work on mobile, and will most likely do quite well too. Panel de Pon... truly the greatest puzzle game series of all time. @MH4 Now that I think about it, a Warioware game on mobile would work really well. I really really like Dr. Mario, but I already have a lot of copies of this game in different systems. I want a new Panel de Pon though. @Charlie_Girl I just hope the In-app purchases don't make me sick! Very good idea and one of the few franchisss that I think is legitimately better off on mobile than Nintendo hardware. WarioWare is another one, as I think they could do more interesting stuff with basic mobile phone features than with Switch features. A lot of mobile games put a D-Pad + center button in the lower right corner of the touch screen. That should be all you need to control the game. Dr Mario always felt like one of the weakest puzzle games. You got Tetris, Puyo Puyo, Puzzle Fighter, Tetris Attack, Lumines, Panic Bomber and so on... and at the end it's Dr Mario. It's slow, little strategy and no real versus play. Precision puzzel controls on a touchscreen, no F*ing thanks! This is the first Nintendo mobile game (not counting Pokemon ones) I'm actually happy exists. Who knew they could pull it off? @Gowtu_Games I agree!!! Great game. It will do well for Nintendo on this format, but "no thank you" for me. I love the series but all I can think about is how terrible it's going to play on a mobile device. Another Dr Mario...just what the world needed. NHN (From the insanely wicked Yokai Wibwob)AND LINE(Whatsapp-ish)! Can only be great I Think...?! I used to like Dr Mario. Then I got a taste of the high-speed intensity of Puyo Puyo, and I've never been able to like Dr Mario since.